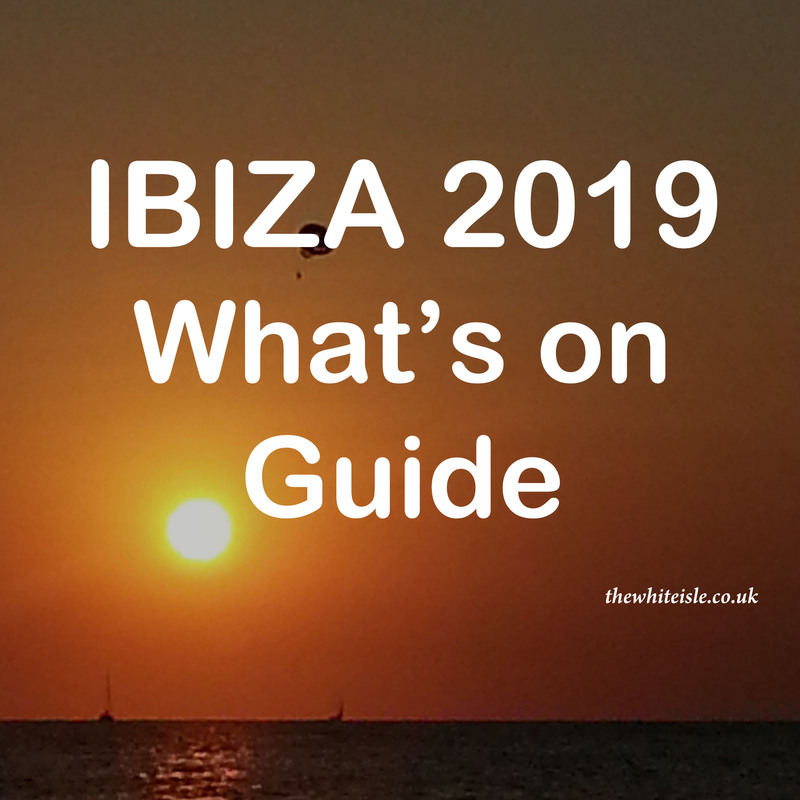 As the darkest winter days have passed and the festivities are over everyone’s attention is turning towards the summer so here are our top tips for planning Ibiza 2019. 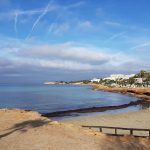 This is our rundown of how to get the most from your Ibiza trip, how to avoid the pitfalls many suffer and how to have the most amazing time. Whether you are heading to the white isle for a romantic getaway, a mate’s trip or a longer family holiday Ibiza has something for everyone. If you are visiting Ibiza for the searing heat or the incredible clubbing then June, July August and early September are the times to visit. If you are looking for a warm beach getaway when its all open but a little less crazy than the summer months then April, May, late September and October are the perfect times to visit. With so much to see and do on the island, there is always plenty to keep you occupied no matter what time of year you visit. With most UK regional airports now offering several flights a week check the times and go for an early outbound flight and a late return. A full list of flights can be found here. 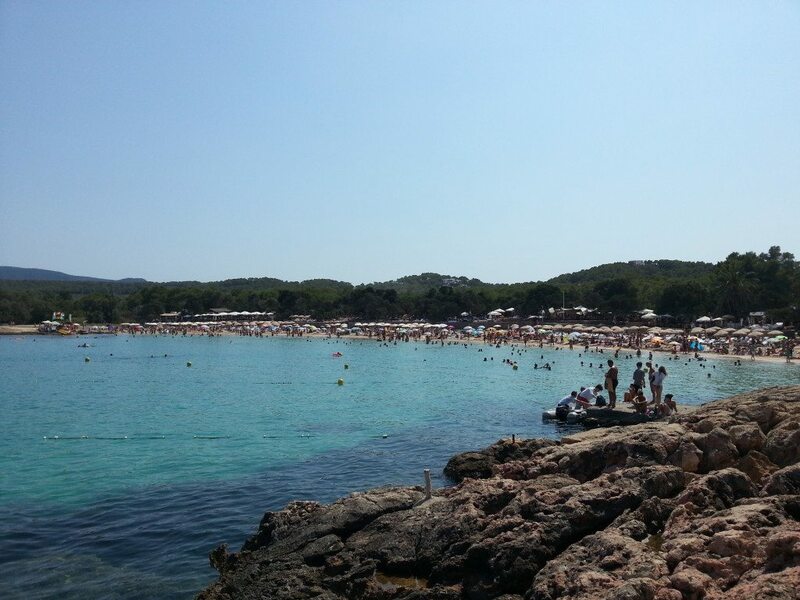 Ibiza being only 2.5hrs away grabbing the early morning flight means you should be in your accommodation by lunchtime and gives you the afternoon and evening to get out and explore. The same applies on your return try and leave it as late as possible meaning you get a full day to enjoy the island before heading home. Most hotels will allow late checkout and will be happy to keep an eye on your luggage if you arrive early and late (ask when booking) if not several resorts have a place to store your luggage for a few euros for a few hours taking the worry out of what to do with your belongings on your first and last day. Lastly on flights don’t over do it at the airport prior to boarding, over recent years and due to the number of air rage incidents the number of people being refused boarding for being intoxicated has grown. Don’t ruin yours and others trip by having one too many too soon. Ibiza offers every kind of accommodation and more from cheap and cheerful apartments and hotels to full-on luxury and everything in between. Research is the key to having a great trip. Know what you want it to be, whether a mad-capped clubbing trip or a secluded time away from everyone in a quiet villa in the pine-covered hills. 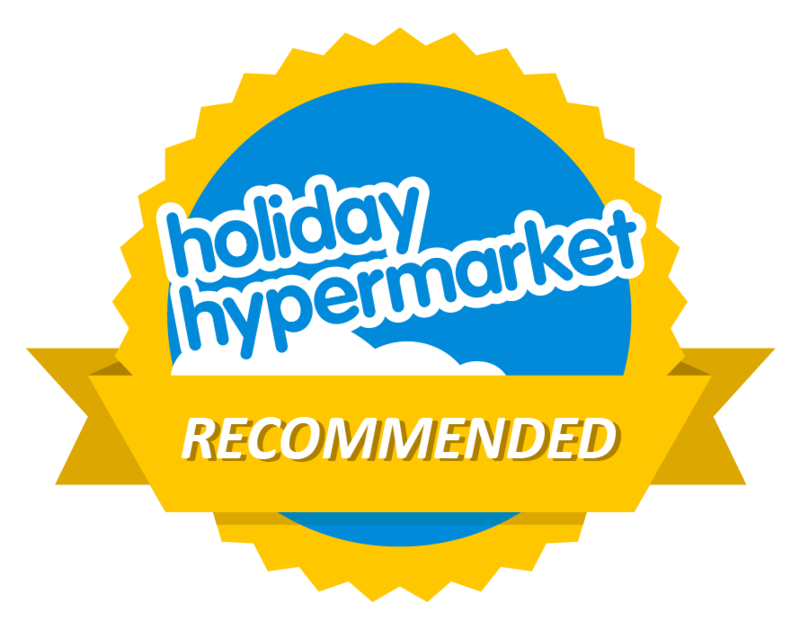 Check out reviews for accommodation and only book with reputable companies especially when it comes to villas as sadly some unscrupulous people out there who offer the world for an unrealistic price and people do lose out. Always ask for recommendations from friends, others that have travelled to Ibiza before and check out our resort guide here to give you an idea of what each resort has to offer before booking. If you are looking for some great accommodation offers then check out Booking.com for the latest offers and reviews and if you have questions always contact the accommodation provider direct. If you are looking for a more type of “arrive and be taken care of” holiday we highly recommend Ibiza Property Shop for villas, Faith Ibiza for concierge services and Ibiza Hire for everything Ibiza has to offer. 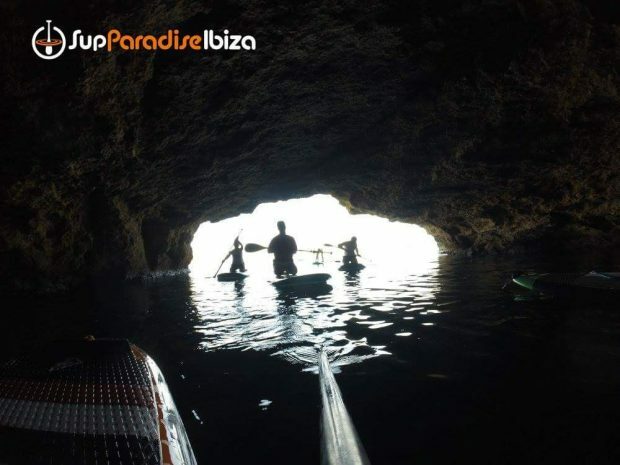 Ibiza has so much to offer everyone of all ages and all interests and we again advise do a little pre planning so you get the most out of your trip. Work out your list of must do’s, whether its an evening spent watching the sunset on the sunset strip in San Antonio, a lazy beach day or that ultimate clubbing trip. Set these in stone and then work round these as your pillars to a great holiday. A quick low down on club tickets for those who wish to partake in what Ibiza is ultimately famous for. Buy before you go and as early as possible for several reasons. Firstly many of the club night offer early bird tickets at a much reduced rate than they do on the door for example Zoo Project tickets are currently available for €18 euros and can be used at any event across the summer. To celebrate 20 years of Defected they also have super early bird tickets available for just €20 each and as the season gets closer more and more events will be announced with early bird tickets, so keep an eye on our clubbing calendar for the info. For those that are panicking about wasting money Ibiza Spotlight offers a full refund up to 24hrs prior to each event so if you can’t make it you wont lose out. If you are organising a large group for an Ibiza trip Ibiza Disco Tickets offer a €5 euro deposit with the outstanding balance payable when you pick up your tickets on the island so no one single person has to take on the risk of shelling out hundreds of euros for let you down Jonny to cancel last minute. Buying in advance also guarantees that you will get entry as many events do actually sell out or the nights reach capacity and operate a one out one in system on the door. Plus with advanced tickets several of the clubs use separate entrances so you can get in no matter what. Lastly, yes you can buy tickets in the resort but be wary of someone wanting to be your new best mate on the beach who will get you cheap entry into nights in exchange for a wristband or piece of paper. Sadly there are some unscrupulous people out there who would sell their grandmothers for a few euros, so only ever use official resort outlets. Individual club nights are usually announced between now and March with the lineups announced from March onwards but rest assured every club will be going hard this year to put on bigger and more incredible events than 2018. This is a must for everyone on holiday you just never know what might happen whether you trip on the rocks or have your phone lifted while not being careful. Our tip is just spend a few quid on insurance the worst that will happen is you will never need it and that’s a good thing – trust us. 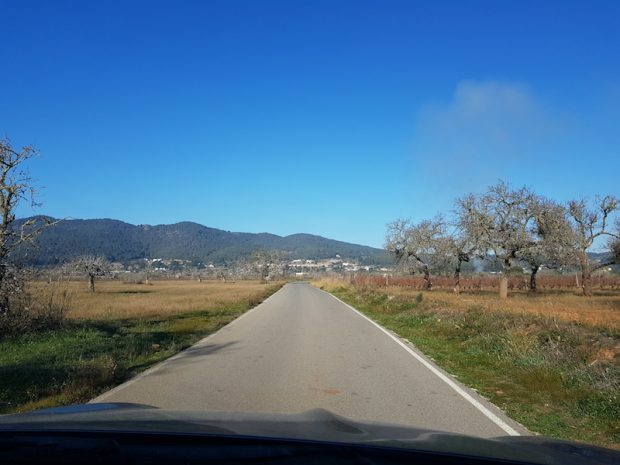 Ibiza has so much to see and do so plan a few activities especially those that take you out of the resorts either along the coast or into the hills, the island is truly beautiful from all angles. Getting to explore the island with an organised trip be it a boat trip at sunset, quad biking, horse riding, walking the list could go on is a great way to see and learn more about the riches the island holds. As much as we keep saying it do your research ask others and look for trips that spark your interest and give you something to look forward to while away, so many trips we know have been a let down because people didn’t plan a few things to do, too scared to leave the comfort of the resorts, worried they would get lost or into trouble. 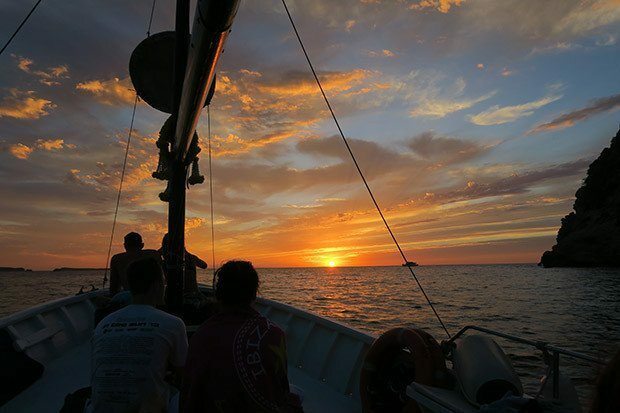 Just get out there and explore the island you will find so many amazing places and meet the most amazing people. You will find Ibiza has so much more than clubbing and beaches. Ibiza is as cheap or as expensive as you want it to be so save as much as you can and pay for your flights, accommodation (or keep it saved separately) club and activity ahead of time that way you will know exactly how much you have to spend while away. Our top tip is divide it by the number of days you are away that way you won’t go too hard in your first few days and then struggle for the rest of your trip. If you do find you are running low then have a cheap day to catch up. Grab a water taxi to one of Ibiza beautiful beaches with a picnic, enjoy the sea the sand and relax, instead of grabbing a cocktail at one of the many sunset bars grab a few beers from the supermarket and sit on the rock for sunset (please take your rubbish with you) the same view and atmosphere just noticeably cheaper. Eat where the locals eat, it tends to be cheaper and the food will be amazing or use the Menu del Dia app to see what is on offer for menu of the day this is a great money saver and you get a great meal at an incredible price. A couple of cheaper days will give you the chance to have a few crazy days doing that extra activity or that extra club night, go hard too soon and you will only ruin it for yourself. So there you have Our Top Tips for Planning Ibiza 2019 do your research, look for recommendations ask others who have visited previously and of course, just ask us you can contact us here and we will be more than happy to pass on our years of Ibiza knowledge and recommendations to you. Make your Ibiza 2019 trip the best it can be and make memories which will last a life time.